(Nanowerk Spotlight) Zeolites are microporous, aluminosilicate minerals commonly used as commercial adsorbents. These materials are also known as molecular sieve – they contain tiny pores of a precise and uniform size that are useful as adsorbent for gases and liquids. 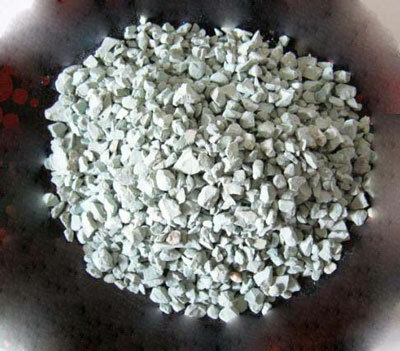 Due to these characteristics, zeolite has found wide applications in adsorption, catalysis, and the removal of heavy metal ions from industrial wastewaters. "The zeolites commonly used to remove heavy metal ions from industrial effluent are in the form of fine powders and must be recovered by solid-liquid separation subsequent to the purification process," Zhenghe Xu explains to Nanowerk. "Although the separation is possible for single-phase liquid or gas detoxification processes, the practical application of fine zeolite powders to complex multiphase systems – such as flue gases containing fly ash or industrial effluents containing finely divided particulates – is rather limited." Xu, Teck Professor, NSERC Industry Research Chair in Oil Sands Engineering and Canada Research Chair in Mineral Processing at the University of Alberta, together with colleagues from the university's Department of Chemical and Materials Engineering, has devised a new nanotechnology approach to separate the spent sorbent powders from treated streams. This could extend the application of zeolites to a much wider range of systems. "If a zeolite composite were magnetic, for example, it could be readily separated and recovered from complex multiphase systems by the application of an external magnetic field, opening the door for sorbent regeneration, safe disposal of the waste and/or recovery of loaded valuable species," says Xu. "We therefore developed a method to incorporate zeolite with magnetic properties so that they can be easily separated by magnetic separation for recycling, regeneration or safe disposal without secondary contamination." The researchers published their findings in recent edition of Advanced Functional Materials ("Magnetic Multi-Functional Nano Composites for Environmental Applications"). Existing methods for preparing magnetic zeolite do not produce materials that meet the requirements of industrial applications as the reduced magnetic metal clusters are not protected and are readily oxidized. The saturation magnetization of the magnetic zeolites prepared by existing protocols is also often too low to be of practical use for magnetic separation in real-life applications. In the process developed by the University of Alberta team, a silica thin film is condensed on microscale magnetite particles. Xu explains that a dense liquid silica coating isolates the magnetite particles from contact with the surrounding environment, thereby protecting the magnetite particles from corrosion and oxidation in harsh application environments. The zeolite molecular sieve provides a matrix to make silver nanoparticles by silver ion exchange and controlled thermal reduction. The result is a unique composite of magnetite, zeolite and silver nanoparticles. This new class of functional composite material combines the convenience of magnetic separation for regeneration and recycling; the ion exchange capacity of natural zeolites as the matrix to support reduced silver nanoparticles from silver ions exchanged into zeolite; and the special functionality of silver nanoparticles for catalysts, disinfectants and sorbent applications. Xu points out that bringing magnetite and zeolite particles together posed a specific challenge. "Eventually we found that by using a unique silica coating as a bridge to bind them together. As an added benefit, this coating also protects magnetite particles from oxidation and hence the loss of magnetic properties of the composites." The team's current work is focused on using the new magnetic composites as sorbents for the removal of mercury from flue gases of coal-fired power plants, which is a pressing environmental issue. According to Xu, the results show that the composite can capture elementary mercury up to 200°C, which is higher than the temperature of physiosorption by activated carbon and suitable for the mercury removal from flue gases of typical Rankine cycle coal-fired power plants. In a next step, the team will try to control the silver loading amount and silver particle size to improve its activity. They are also thinking about introducing other metal ions into zeolite to make different magnetic sorbents or catalysts. Whether the existence of magnetite will affect the properties of zeolite itself is still under investigation.